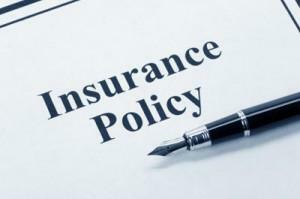 OPERATORS in the insurance industry have appealed to the National Insurance Commission, NAICOM, to defer implementation of the reviewed rates on compulsory insurances by one year to enable the insuring public to be adequate sensitized. Some operators who spoke to Vanguard said that consumers have already drawn up their insurance budget for this year with the old rates and it will be difficult to alter it. The stakeholders ask for time to sensitize clients on the new rates before the next renewal period. Former President of the Nigerian Council of Registered Insurance Brokers, NCRIB, Mrs. Laide Osijo, said that though the new rating on compulsory insurances will benefit the industry; however, implementation should be deferred so that clients and customers will be adequately sensitized. An insurance marketing executive, who spoke on the condition of anonymity said, “There has been little or no enforcement of the compulsory insurances, therefore, implementation of the new rate would have been better if enforcement had been in full swing prior to now. “If enforcement had been on, when you tell consumers that there is a reviewed rate, they will know and when they refuse to insure, they will be penalized. However, with no enforcement, premium income could reduce and after observing situation for some time, underwriters might be tempted to go back to status quo,” he said. On impact of the new rates on the industry, Osijo said, “It is a good step in the right direction for the industry because most risks are not priced with commensurate rates; consequently, underwriters find it difficult to pay claims at the end of the day. Recall that NAICOM penultimate week released approved rates for compulsory insurances to the operators. The regulator said the move is part of efforts to curb the increasing challenge of rating in the industry and charged every operator to be guided by the rates in their various transactions. NAICOM stated that going forward, it shall strictly monitor and enforce compliance. The post Operators advocate postponement of new rates for compulsory insurances appeared first on Vanguard News.